Less of a city and more of a sprawling metropolis, São Paulo and the surrounding area is home to more than 21 million people. Located in the south of Brazil, the city is the most populous Portuguese-speaking city in the world and has the largest GDP in the Southern Hemisphere. One of the world’s global cities, São Paulo boasts something for everyone: art, food and a melting pot of international influences. And, for a chemist, there’s opportunities, too – around 30% of the country’s scientists with a PhD can be found in the city. A combination of large economy (despite the recent recession) and bounty of raw materials means Brazil has the 8th biggest chemical industry in the world, according to Global Business Reports, accounting for $113.5 billion in production and 400,000 jobs. It has the second largest ethanol industry in the world, 10% of the global cosmetics market and 20% of the global agrochemicals market. One of the largest chemical hubs in the country is based in nearby Capuava, producing thermoplastics, resins, rubbers and paint. São Paulo is home to more than 60% of multinationals that have taken root in the country, and boasts the best universities in Brazil, with the University of São Paulo, State University of Campinas, Federal University of São Paulo and Federal University of ABC topping the Times Higher Education tables. This is underpinned by the São Paulo Research Foundation, which provided R$1 billion (£210 million) in disbursements in 2017 and provides support for foreign scientists through fellowships, awards and grants. Politics. The president of Brazil is Jair Bolsonaro, a far-right leader who ran on a platform to close down Brazil’s ministries of science and technology and environment. At a government level, science funding is at its lowest level for 10 years, while campuses have seen police crackdowns in response to protests from students. The good news is that Bosonaro hasn’t fulfilled his pledges yet – in fact, he appointed former astronaut Marcos Pontes as minister of science, technology, innovation and communication. But anyone thinking of a move should keep an eye on the political situation and think about where things may go in the long term. As always, this can be highly variable depending on experience and the type of work, but is comparative to other jobs around the world. A monthly stipend for a postdoctoral fellowship through the São Paulo Research Foundation is around R$7,175, with Numbeo putting the cost of living for a single person around R$2100, plus R$1800 in rent for a one-bedroom apartment. 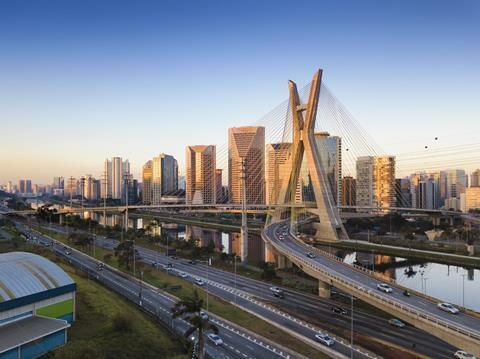 If you like bridges, you’re in luck: São Paulo has one. São Paulo is a city of inequality. 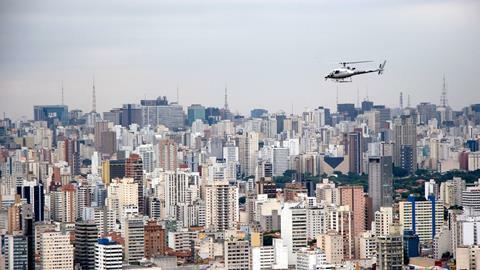 The rich live a lavish lifestyle of parties and helicopters, while the poor live in favelas (slums) that can be dangerous, with mugging and robbery the main risks. That said, the latest statistics show São Paulo is safer than elsewhere in Brazil thanks to recent reforms. Perhaps a larger issue is traffic. The city is known for its gridlock, largely thanks to the high number of cars and relatively small public transport network (projects such as monorails have been beset by delays). A word on climate: it’s hot. The average maximum ranges from 22°C in the winter months of June and July (the minimum is a perfectly reasonable 10°C) to 29°C at the height of summer in February. While this is relatively consistent, the weather can change rapidly, with sudden heavy rainfall. Be prepared. It’s Brazil, so there’s obviously gorgeous beaches within reach if you’re willing to head out of the metropolis. Santos has four miles of sands for sunbathing, while Guarujá is known to get packed at the weekends. A little closer to home, the Pinacoteca (picture gallery) is considered one of Brazil’s premier art museums, as is the Museu de Arte de São Paulo (MASP). 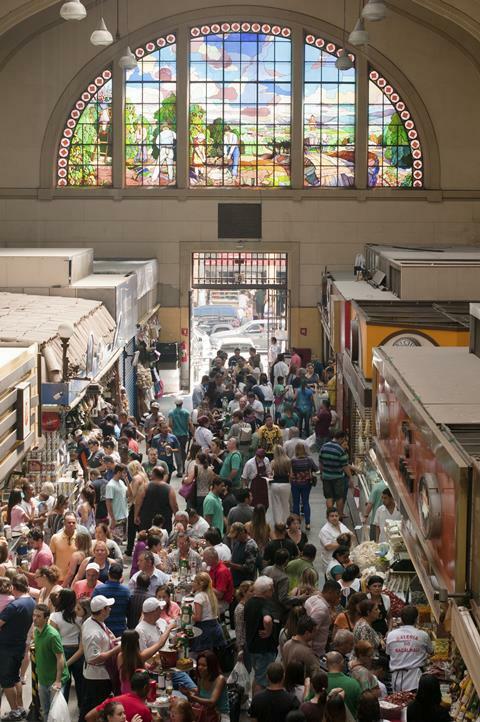 But a key part of Brazil is the street culture, and both indoor and outdoor markets are a must-visit, such as the Calixto on Saturday or the city’s municipal market, the Mercadão. And don’t worry about the nightlife: the metropolis has more than 15,000 bars in which to enjoy a beer and listen to a samba beat.